Space is becoming an increasingly precious commodity. As it becomes more and more difficult to find space, the cost of available space in any given community has, of course, risen accordingly. This has required more people than ever before, to find ways in which to share living quarters. While many cultures are built upon the idea of communal living, the Western, industrialized world prides itself on individualism, and views leaving home and creating a space of one’s own, as a rite of passage. 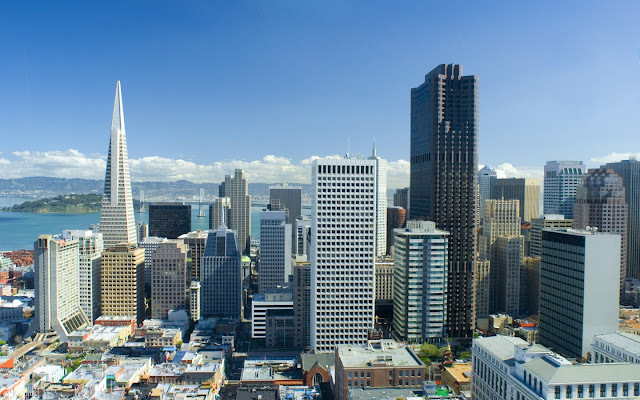 Over the course of the last 15 years, however, the cost of housing in many large cities has increased to the point that it is nearly impossible to adhere to this hallmark of independence. For those people who have chosen to embrace this idea of shared living space, a new world of creative possibilities has been opened, and a fascinating culture of innovative, compact design has emerged. Making a shared space livable for everyone requires more than the purchase of smaller furniture, so that you can fit more people and things into a room. Rather, it requires an understanding of how to arrange the space so that it feels clutter free. More than that, there must be an understanding of how to maximize its functionality, so that one can get the most out of the space, with the fewest items in it. 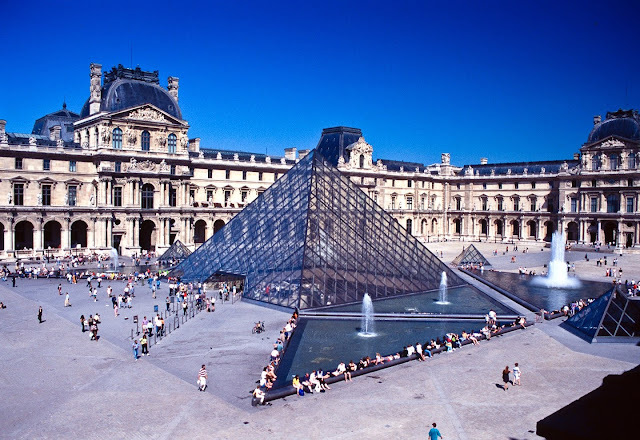 Countries where space has long been an issue have been the most prolific when it comes to finding ways in which to most efficiently utilize surface area. Japanese design firms, such as Igarishi Design Studio and Kenchikukagu of Atelier OPA, have consistently produced furniture designs that are at once attractive, minimalist, and functional. The elegant simplicity of design exhibited in the work of these two companies, is both a response to limited space, and a reflection of culturally based design concepts. Japanese design has long adhered to a set of aesthetic rules with which the Western world is largely unfamiliar. Whereas the goal of many upwardly mobile Westerners is to fill a room with as many pieces of furniture, electronics, and accessories as possible, Japanese design stresses simplicity, called kanketsu, and Japanese designers are as focused on the negative space, or ma, as they are on the actual objects they design or place in a room. Rather than filling a space, Japanese design is invested in sculpting the empty space. This idea of sculpting the “white space” is especially apparent in the “rid block” by Igarishi Design Studio, pictured below. A series of modular units that can be rearranged into multiple configurations, the “rid block”, can be everything from dining room table, to office space, to living room furniture. The Japanese are not the only group of people that have excelled at creating furniture that both saves space and is aesthetically pleasing. The single most widely recognizable modular furniture company is, without a doubt, IKEA, the Swedish company founded by Ingvar Kamprad. 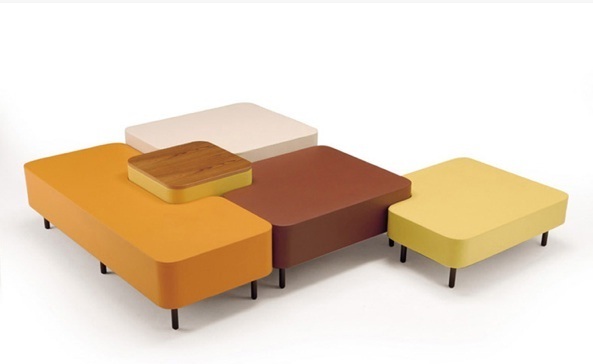 Though the company’s space saving concepts and designs had already gained recognition and popularity in many parts of Europe by the 1950’s, their emergence as a furniture superpower, worldwide, did not occur for another 30 years. It was not until the 1980s that IKEA began to expand into European markets in France, Italy, and the UK, and then finally, to the US. IKEA arrived in the US at exactly the same moment as a movement towards environmentally sound living practices, and an increased need for shared living space, began. It was a happy coincidence, and the company’s aesthetic quickly took a young generation of apartment mates by storm. Sofa sales were especially successful, as were sales of the company’s office and bedroom furniture sets, and they have remained the top retailer for people seeking to increase the functionality of limited space for 3 decades. 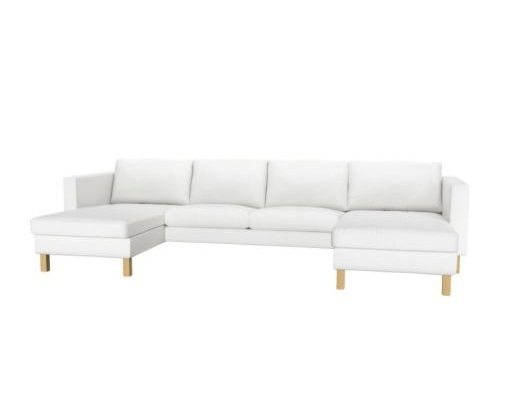 IKEA’s “Karlstad” modular sofa, pictured below, is an example of the clean lines for which the company is known. 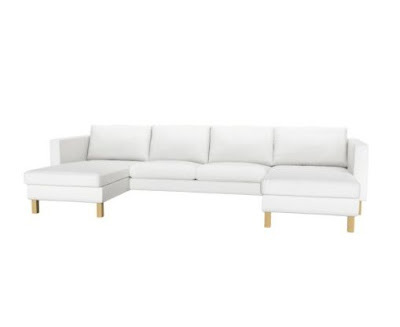 Other European design firms, recognizing the success of IKEA’s minimalist approach, have since created more luxurious variations on this theme. 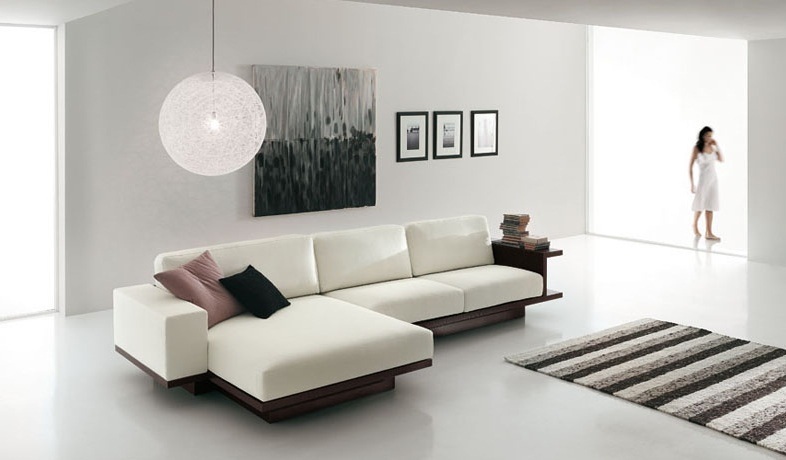 Alf + Da Fre Italia, for example, has combined the clean lines and modular styling that has become the aesthetic norm in today’s small apartments, with higher-end fabrics and materials that are often most associated with larger and more traditional furniture styles. A sofa from their “Divano Zen” line is also pictured below. Though sharing a flat with five to six other people can occasionally create issues in the kitchen or bathroom, it does allow for some interesting experiments in creative design. The act of constructing livable, attractive space with other people is, in essence, our new rite of passage. 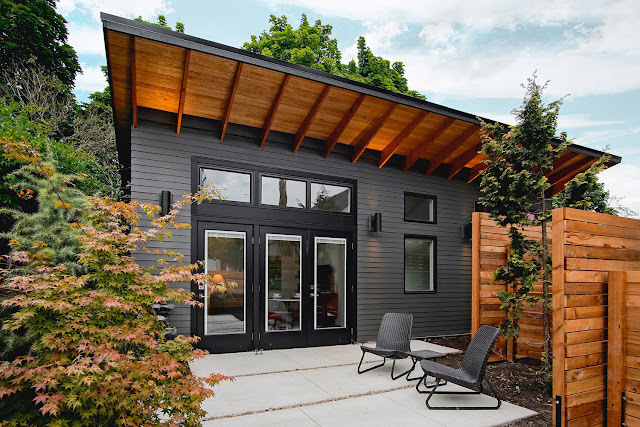 Using the concepts practiced by the Japanese, some ingenuity, and a tape measure, it is possible to transform a tiny apartment, communal living space, or kitchen into a comfortable, compact, functional space for everyone. 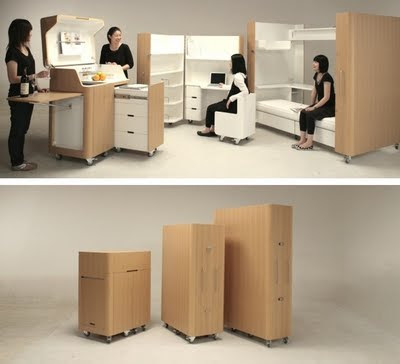 If in doubt, the “Mobile Kitchen”, and “Foldaway Office and Bedroom” from Kenchikukago can serve as inspiration. Susan is an amateur interior designer and passionate about home photography. That foldable office and bedroom seems to be a very good idea. Thank you for sharing them. Use hidden storage and learn to organize your things to make your home a minimalist-type. Start out searching for furnishings which is dual purpose like the Rid Block above. These ideas are really useful in saving more spaces in your home. Minimalism is indeed a good practice that we should all learn. I completely agree, Chris. I find too many spaces, particularly residential, are cluttered with too much stuff. Simplification can greatly help transform a space. You can see how our lifestyle changes with these modern designs. 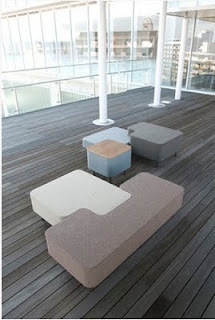 With the new technology, people can easily make such furniture and I think it's great for us. Great point John. I think what is fascinating is how we can utilize technology to better design for people. Unfortunately, too often designers explore what they can do with technology - really pushing the limits - yet forget that the object needs to be functional, comfortable, and not just beautiful. We would be happy to add a link to your website for a a monthly fee. We also do sponsored posts and other advertising opportunities. Email us if you want more information. Nice share, thanks a lot for the valuable information, keep up the good work. It's fun to run a blog and interact with interesting people all over the world. The difference between Japanese Design and European Design is the their attention to detail and design. Japanese design focuses on usability while Europeans tend to be more on design. Japanese models look amazingly compact and chic.